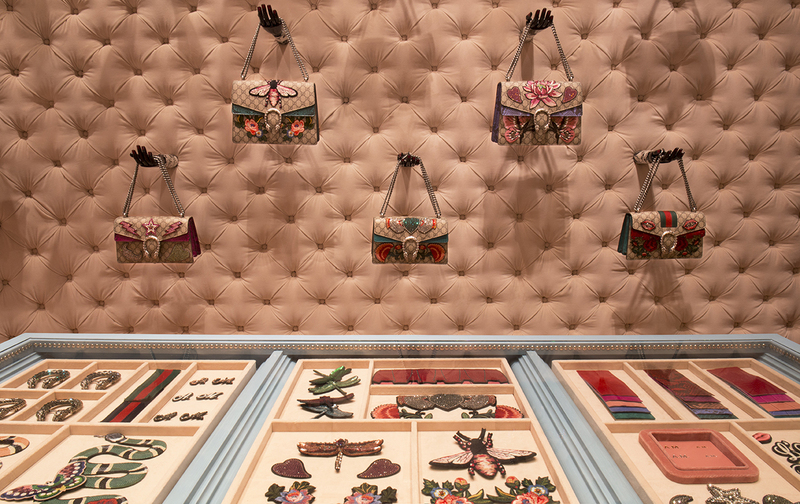 Gucci has unveiled their new DIY service in Milan. 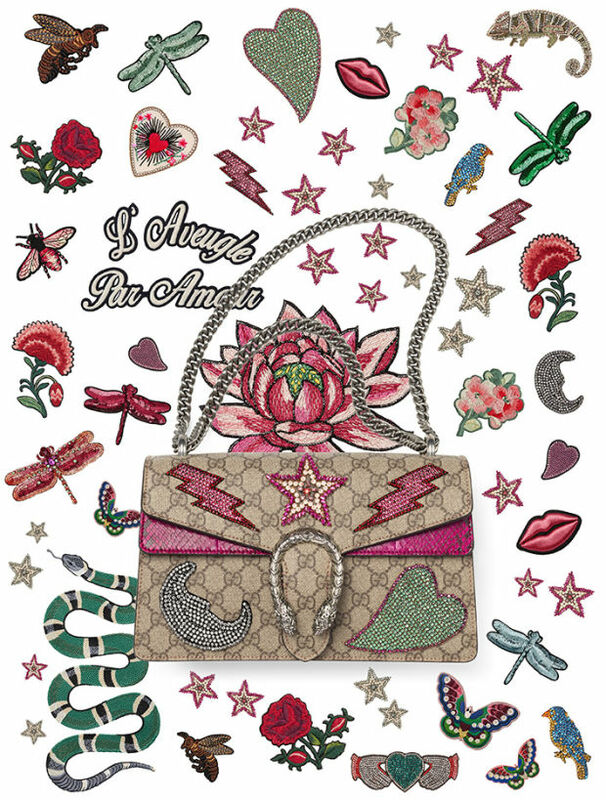 “Clothing must reflect the way we feel, and we must all feel free to express ourselves,” Gucci stated, explaining how the fashion label’s new DIY service, allowing customers to personalise some of the brand’s products, was inspired by Creative Director Alessandro Michele. The new project premiered May 25th at the brand’s Milan flagship store and will be rolled out to other boutiques worldwide. A customisable version of the Dionysus bag was chosen to introduce it, but the service will be extended later to the Ace sneakers and the Princetown shoes, as well as to some items of men’s and woman’s clothing and to the ‘Made to Measure’ programme, dedicated to menswear. “The combinations of materials, detailing and decoration on offer ensure that the end result will always evoke the spirit of Alessandro Michele’s vision. In this way, the process of customisation is both a personal statement and a way in which a customer can become a co-designer with Gucci’s Creative Director,” Gucci added in a statement. Gucci stated that the service’s concept was inspired by punk culture, which has always fascinated Michele: anyone can become anything they want. It will be possible to personalise the Dionysus bag by adding different types of embroidery, details, metallic finishings and one’s own initials, so that customers can co-design the bag.